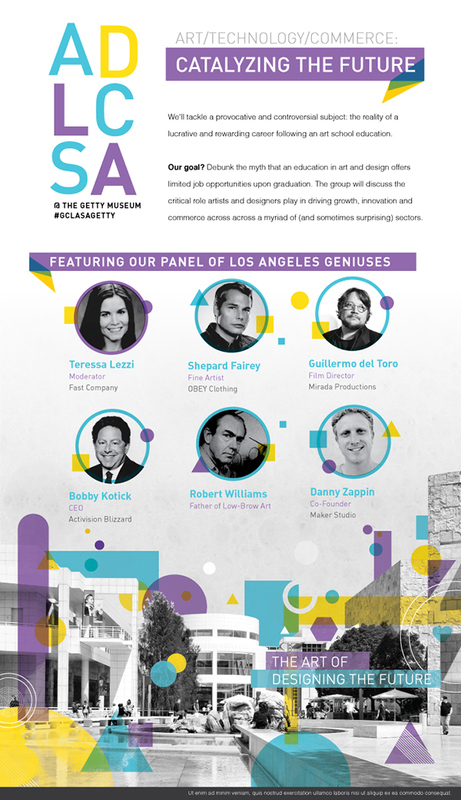 in an effort to reach out to cultural centers nationwide, SCAD (Savannah College of Art and Design) expressed an interest in funding an on-going lecture series hosted at the Getty Center, Los Angeles. 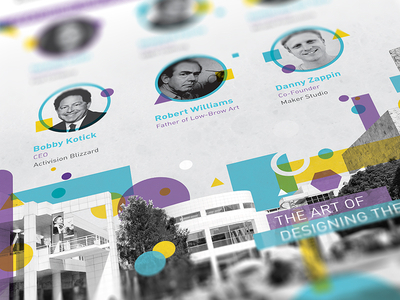 This poster represents a dream team of LA based cultural leaders, such as Bobby Kotick, Guillermo del Toro, Robert Williams and more. The topic? an on-going discussion on the controversial subject of Art schools and the potential lucrative and rewarding careers an art school education can provide.